Here is me a reformed hair dye addict using softer products to achieve coloured hair. Who'd have thought huh? I bought this 'Colour Effect's wash in- wash out conditioning colour for £1.29 (I remember when they were 99p!) at Superdrug. It is not a hair colourant but rather a product that adds warm tones and shimmer to the hair. They're intended for use on damp hair but I never apply any hair colourant or toner to damp hair as I feel the result isn't as noticeable when used in this way. I apply the thick, gel consistency to dry hair and leave it for as long as possible for optimum results. I wouldn't say that the formula is terribly conditioning, in fact probably on the contrary I feel like when using the product I need to add a little more conditioning treatment after rinsing. These little colour shots are 'your hair colour, but better' and are really noticeable in the light. 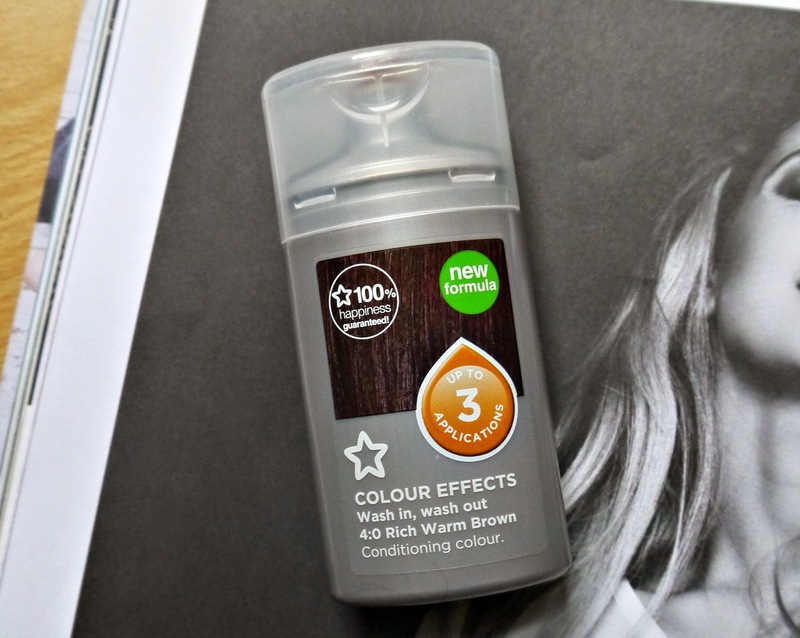 'Rich warm brown adds chocolatey highlights to my hair and the results usually stick around for around 3 washes. I use this once a week to maintain a glossy brunette and if you don't want to dabble with semi or permanent dye's then these are your guy.